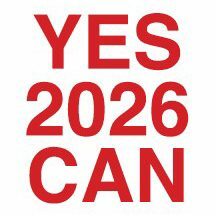 YES 2026 CANMORE – YES 2026 Canmore is made up of a local group of longtime citizens in support of the bid for the 2026 Olympic and Paralympic Winter Games. We look forward to engaging with our community around the opportunities that hosting the Games will bring to Canmore. YES 2026 Canmore is made up of a local group of longtime citizens in support of the bid for the 2026 Olympic and Paralympic Winter Games. We look forward to engaging with our community around the opportunities that hosting the Games will bring to Canmore.